Who knew that choosing the U.S. Postal Service’s next flagship mail delivery truck could become such a political football? Any large government contract — this one is potentially worth more than $6 billion for an order that could reach 180,000 trucks — will be surrounded by lobbying. But given the current political environment, a decision that should be based on what truck best transports mail to the doorstep is fraught with undercurrents. 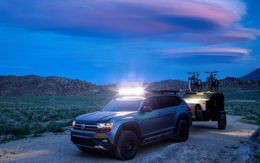 Perhaps this is why the postal service has held strict radio silence on the topic except to confirm it is testing five prototype vehicles in a variety of climates and regions. It is expected to make its decision later this year. Two bidders are overseas companies. Both would assemble the vehicles in the U.S., but it’s hard to see how the Trump administration’s “America First” outlook would allow this important government contract to be captured by businesses such as India-based Mahindra or the Turkish-owned Karsan. The blowback would be more about the optics of the deal rather than the actual contract. Mail trucks are ubiquitous, perhaps the most obvious representation of the federal government in our daily lives. Could Trump tolerate a foreign automaker’s logo on the front for the next two decades? Then there is the issue of technology. The powertrains of the vehicles vary. Each makes a statement about the use of fossil fuel and whether the massive fleet of federal vehicles should be designed to reduce carbon emissions to fight climate change. The estimated fuel economy of the current truck is listed at 17 mpg by the Environmental Protection Agency. But letter carriers interviewed by Trucks.com said they rarely get to double-digit mileage given the constant stop-and-go traffic of their delivery routes. The Karsan truck, which would be built with its U.S. partner Morgan Olson of Sturgis, Mich., is a plug-in hybrid mail truck. Trucks.com photos of the team’s prototype show ports on either side of the truck. The one on the right side is for electricity. The other, above the left rear wheel, is a conventional gasoline port. Another prototype is a battery-electric truck from a team made up of VT Hackney and Workhorse Group. VT Hackney makes specialized truck bodies and is based in Washington, N.C. Electric work truck maker Workhorse is headquartered in Loveland, Ohio. It has a factory in Indiana, home state of Vice President Mike Pence. It’s a safe bet that this team has already met with Pence, pitching the economic benefits of winning at least a piece of the business. The Mahindra will offer gasoline or a mild-hybrid powertrain option, according to a National Highway Transportation Safety Administration filing. The remaining two entries have conventional powertrains. 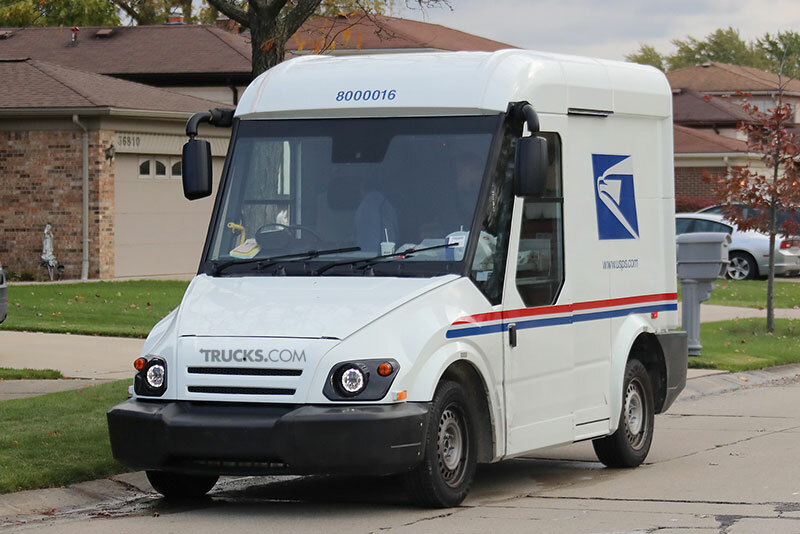 Oshkosh Corp., based in Oshkosh, Wis., is working with Ford Motor Co. to modify a gasoline Ford Transit Cargo van for the postal service. 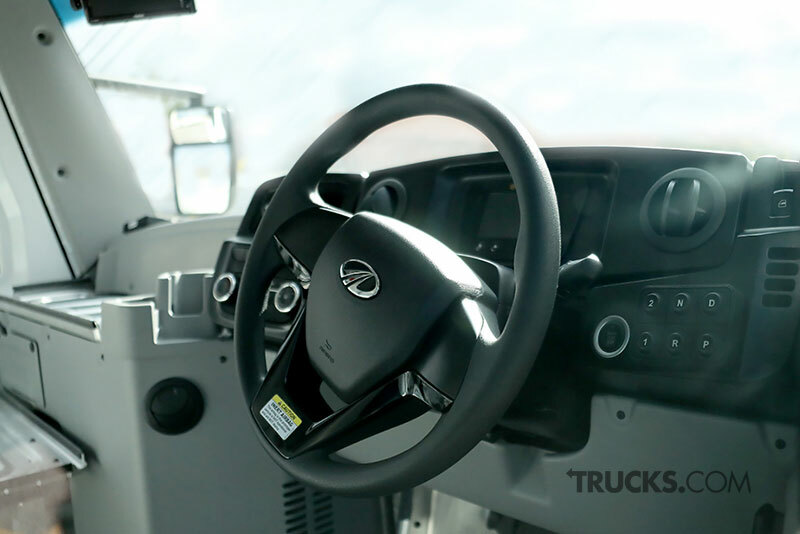 South Bend, Ind., manufacturer AM General submitted an internal-combustion engine truck with start-stop technology for improved fuel efficiency. 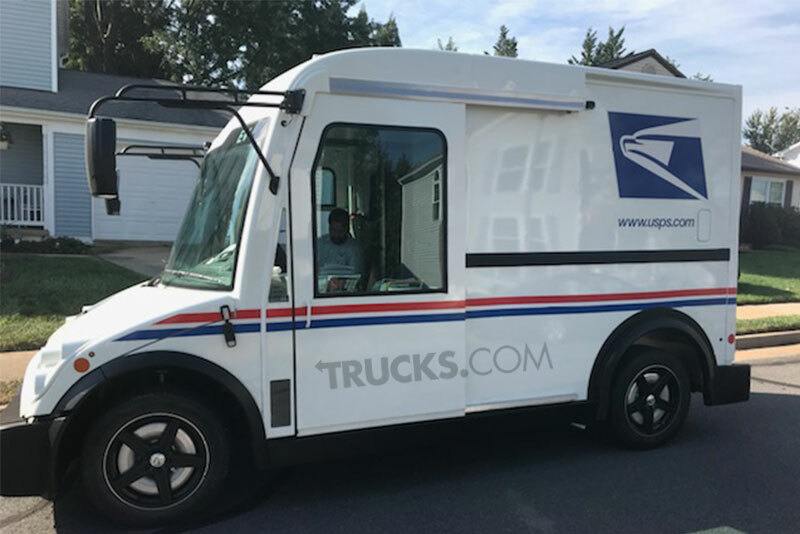 Would the Trump administration, which has an EPA that plans to ease fuel economy and emissions regulations for passenger vehicles and heavy-duty trucks, allow the postal service to make a statement about the environment by purchasing vehicles with a complete or partial electric drive system? Although the postal service operates as an independent agency, Trump has views and he’s not afraid to express them. Last month he pressed U.S. Postmaster General Megan Brennan to double the rate the Postal Service charges Amazon.com. It was widely seen as a political move against Jeff Bezos, the chief executive of Amazon and owner of the Washington Post. The Post has criticized many of Trump’s policy initiatives and aggressively covered the probe into Russian interference in the 2016 presidential election. A coalition of environmental groups is pushing for less polluting, hybrid and electric mail trucks. 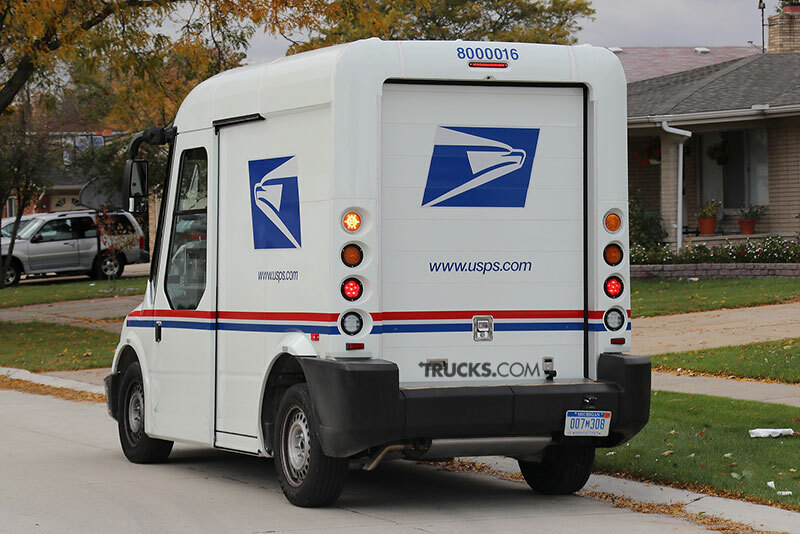 They wrote Brennan last year to say that switching to electric delivery trucks from gasoline-powered vehicles would save the postal service in fuel costs and reduce emissions. They said the move would also diminish reliance on foreign oil by substituting domestic electricity and reduce maintenance costs. 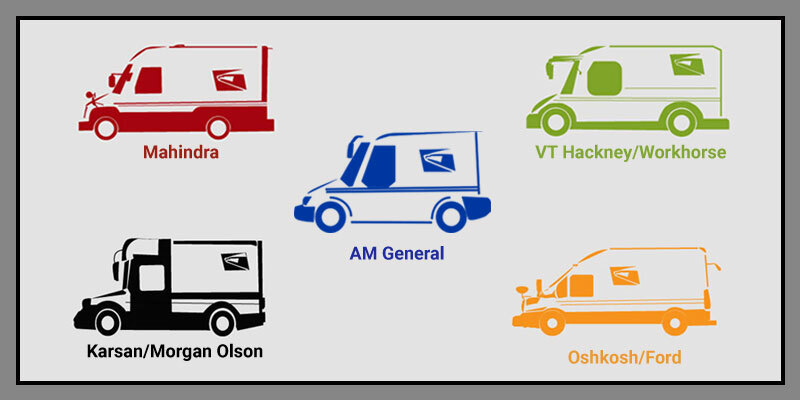 If the VT Hackney/Workhorse truck is chosen, the postal service would soon have the largest electric vehicle fleet in the world. In its request for proposals, the postal service specifically asked for “hybrid and new technologies, including alternative fuel capabilities.” But that was back in the Obama administration. If the postal service is able to make a decision this year, look for the contract to be split given the size of the order and the players involved. The largest chunk of business will likely go to AM General. It is the safe choice. AM General enjoys an established name in the commercial vehicle sector. Its truck is similar to the Grumman LLV, the current mail truck. That makes it familiar to both carriers and the public. Its compact size works in tight urban corridors. And it’s just a gasoline truck without any new powertrain technology that would require post offices and distribution centers to install charging stations. Others have the same opinion. Trucks.com asked readers to rate the five trucks. The AM General was the top choice, collecting more than 13,000 votes or 36 percent. Don’t write off the VT Hackney/Workhorse option for a portion of the orders. It would allow the postal service to dip its toes in advanced powertrain technology. It could use the trucks in urban centers where residents want to reduce noise and pollution. Promising to build in Pence’s Indiana also is a plus. But don’t be surprised if this all gets pushed well into next year as the postal service agonizes over both the technical and political ramifications of its decision. Of course, the most important constituency is the letter carriers who will drive the vehicles daily. They rightfully point out that the current truck isn’t up to the task. The cabin gets too hot in the summer and freezes in the winter. The truck was designed for first class mail — something emails and texts have made nearly obsolete. The builders never anticipated an e-commerce boom that has transformed letter carriers into package couriers. The postal service says it is consulting constantly with letter carriers during this test and validation phase. Let’s hope the final contract is awarded on what’s best for the driver and delivery efficiency rather than political considerations. No such thing as a $6B Federal procurement competition that isn’t “a political football”. That’s life; if fact it’s arguably a natural part of an open procurement environment. I’d argue that this statement “Let’s hope the final contract is awarded on what’s best for the driver and delivery efficiency rather than political considerations” is noble but in the end probably not easily judged unless a wildly unreliable and poorly-built contender is chosen. We’ll argue the decision forever based on everything from bogus “study” inputs to rumors of who slept with whom to fantasies of what Brand X would have really done if they had been picked. BTW, it’s not clear to me in the procurement document that there’s any provision for EVSE CapEx. The “chargers” themselves are not so expensives, but in most parking garages for delivery vehicles there is a HUGE amount of wiring to do, not to mention building power and grid infrastructure. 3.3kW chargers running for several hours for 100’s of vehicles? What distribution center has hundreds of extra kW of capacity? When Davis-Bacon requirements and Beclk Notice effects are included, the cost to do all this stuff is going to warp the CoO consideratons… a LOT. Plug-Ins are going to be challenged to make the cut. The elephant (well, maybe the wombat) in the room here is the very poor financial state of Workhorse. They can’t even take the job without a contractual arrangement that would pay them significant up-front advances and progress payments along the way. Yeah, I know they’re teamed with VTH, but can the pair bid low enough for a more expensive vehicle AND underwrite VTH’s loans/subsidies to Workhorse? So… fuel demand will go down so the price will go… up? Is there a 911 for emergency economics? (1) A completely nonsense “statistic”. First, there is NO statistical body of evidence for kids “born with” athsma. Second, even Fresno State, which has an obvious political jones on the topic, claims no more than 18% of adolescents with symptoms, and this number is self-reported. Third, the culprits are largely believed to be INDOOR particulates and aerosols. I’m not sure where you got the information that routes are only 5 miles. There are Rural routes in excess of 100 miles a day. I believe he was referring to city delivery routes which make up the vast majority of delivery in the US. In my opinion, politicians should not interfere. whatever the country’s interest requires, it must be done.Morgan Olson, a partner of the KARSAN company, has strengthened his power. This should be given to the Karsan company. Karsan Company has proved its experience in Europe. It is one of the most established companies in Turkey. The USA needs cooperation with Turkey in every field. Good luck with the Karsan company. I would think the USPS being a federal agency should have to do procurement in accordance with Federal Acquisition Regulations (FAR). These regulations are designed to take politics out of the procurement policy. Basically the USPS issues a request for quote with a document with a detailed definition of what is required for the product, and project management. The vendor responds to each requirement (there may be several hundred in a procurement of this size) indicating compliance or non-compliance, and if the later, how the proposed product will be modified to be compliant. The vendor also provides the cost and schedule of delivery. The winner is selected based on cost, only from those teams providing compliant proposals. The USPS can add a cost bogy if there is high risk in the proposed technology or manufacturing, but not because the vendor is not an American firm. I believe the delay in making the NGDV award is the USPS says they will be conducting a 24/7 20,000 mile reliability test after the multiple site delivery tests have finished. I suspect the VT Hackney/Workhorse team may be slowing the testing due to battery charge times vs gas fill up time. Larry I can’t disagree with your view, except that there will ALWAYS be “political” pressure. What that means is that congressional members and staffers on key committees will try to influence the choices, as will SES-level executive branch people in a position to nudge to their preference. Just the way it is, and the bigger the buy the more it happens. You also can’t count out the special interests who pose as something other than special interests, e.g., the pious Union of Concerned Scientists, who publish open letters demanding their view be heard and recruit like-minded gov’t officials. Unless there is a prima facie trail of improper influence these “suggestions” to the procuring agency are not illegal. Just to add two things to your list of proper procurement behaviors: (1) a qualified competitor must be financially fit, and (2) extraneous / not specified elements of offer can’t be considered in results weighting without an opportunity for all competitors to respond to a new requirement. In Sweden a lot of the postal service light trucks (3500kg/7700lbs) are standard Iveco Daily vans with an 8 speed automatic (Hi-Matic), 2,3L 130hp. I’ve been driving delivery routes around town, 40-50 stops@5h or less and averaged constantly around 22-24 MPG, so when you report you can’t even get double digits it’s just appalling to read. Ok, I’m good at eco-driving, but any driver can easily stay around 20 mpg, so your cars most be ”not so good” fuel wise. The 1987-1994 LLV has a 98 hp engine with a 3 speed automatic with a GVWR of 4450 lbs. They were supposed to get 17 mpg using the standard for normal vehicle, but they are driven very abnormally due to its delivery function. If they planned on taking the 17 mpg as the projected mileage, they were quite wrong. The old DJ5 jeeps had an expected service life of eight years. We kept them sixteen. They were replaced in 1987 by the LLV with a service life of twenty-four years. Don’t hold your breath for a quick replacement. As far as I can see, these trucks require short rounds in the city while requiring long distance travels at times as well. I want to believe that they don’t reach a political result, instead decide on one of the hybrid vehicles, where it could be charged for driving in short distances while it can go with gas when it is required for longer hours. Otherwise both the postal service & drivers will have to suffer another 20-30 years just from a wrong political decision. Lets go with electric/ hybrid, so that maybe we can reach paying lower taxes on the cost of gasoline. Jerry, my understanding is that the AM General is not a conventional ICE drivetrain. It is an electric vehicle with a small ICE engine used as a range extender. The ICE engine only charges the batteries, doesn’t drive wheels. The drivetrain is all electric. Cool technology. Hybrid, yet does not duplicate drivetrains to accommodate both ICE and electric drive.